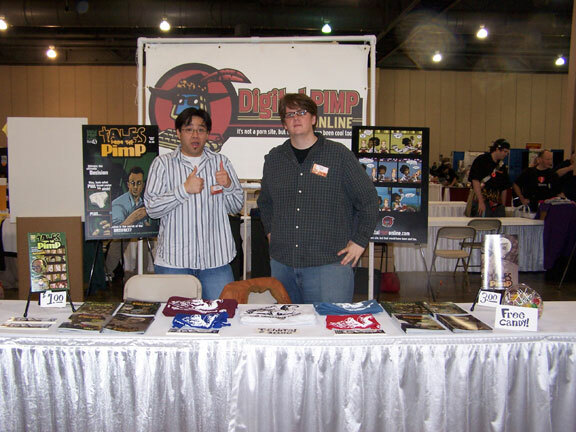 First of all, a big thanks to all the Digital Pimp fans who stopped by the table at Wizard world Philly! And for all of you stopping by the site for the first time because of Philly, welcome! Issue 3 of Tales from the Pimp debuted at Philly and was well received. If you couldn't make it out to Philadelphia, don't worry, issue 3 will be up in the store soon. Many more pictures and anecdotes from the con to follow in this thread.